What kid doesn’t dream about their bike taking flight as they race down the street on a hot summer day? 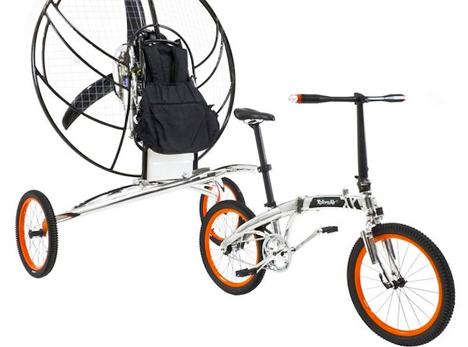 British inventors Yanish Read and John Foden certainly did, and it led them to create the Paravelo, the world’s first working flying bicycle. 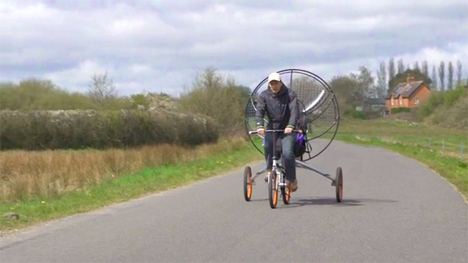 Under the company name XPloreAir, the duo developed that product which can be used on the ground as a conventional bike or, with an attached trailer, to fly among the clouds. The bike part of the design is really quite simple but elegant. It’s a lightweight folding bike that’s perfect for commuting, but not so much for long distances or for speed riding as its ground speed tops out at a lowly 15 MPH. 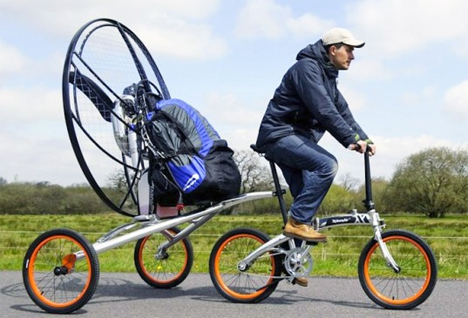 It folds up small enough to stash in your hallway or coat closet, but if you want the added power of gliding through the air you’ll need a rather large space for the biofuel-powered, fan-toting trailer. 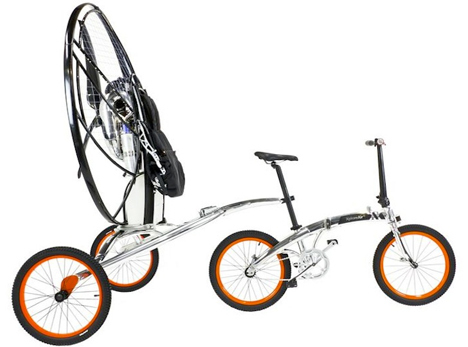 The trailer has an attached fabric wing that makes the bike fly sort of like a parawing. Although the inventors advise against buying and flying the Paravelo without proper training, no special license is required to take this bad boy up into the air. It can climb to the frankly terrifying altitude of 4,000 feet, where it can reach a speed of 25 MPH. The battery can keep you going for up to three hours. Read and Foden suggest that the Paravelo could bring about a whole new type of urban getaway that they like to call “flamping.” It’s a mash-up of flying and camping, the idea being that you hook the trailer to your bike, take off into the air, and set down somewhere quiet and away from the city to enjoy a weekend of solitude. When the weekend is through, you simply pack up again and fly back into your real life, which will undoubtedly seem way more awesome now that you have a flying bike. See more in Bikes & Cycles or under Transportation. May, 2014.